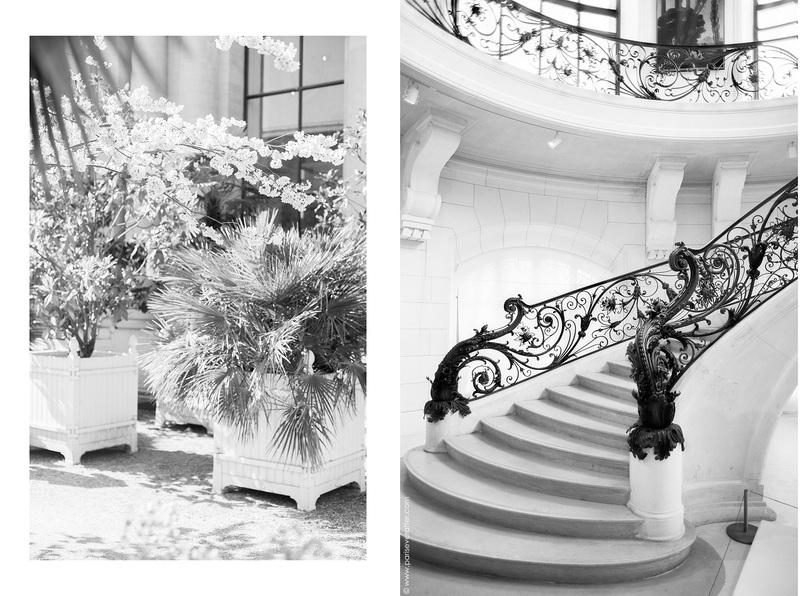 Every season during fashion week, without fail, I will end up over at the Grand Palais for a show or two. For the longest time, I paid little attention to the smaller Petit Palais just across the street. 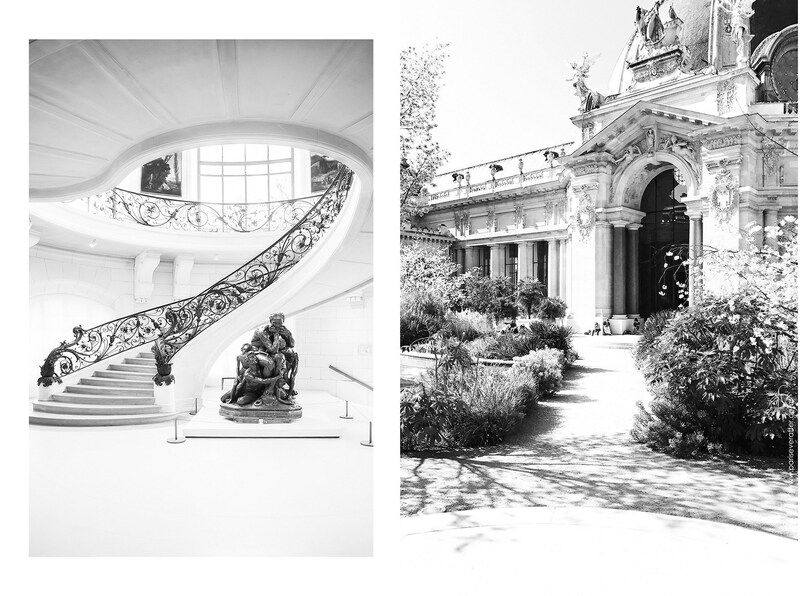 Like me, I’m sure many of you have skipped a stop at this lesser known Parisian museum, in favor of visiting one of the larger exhibitions at its glass-domed neighbor. 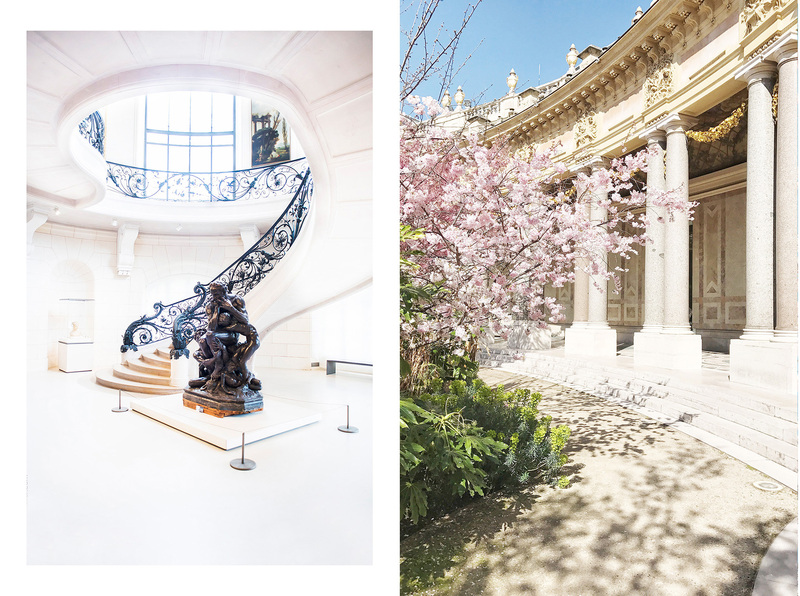 However, the Petit Palais is a secret little Parisian gem not to be missed. 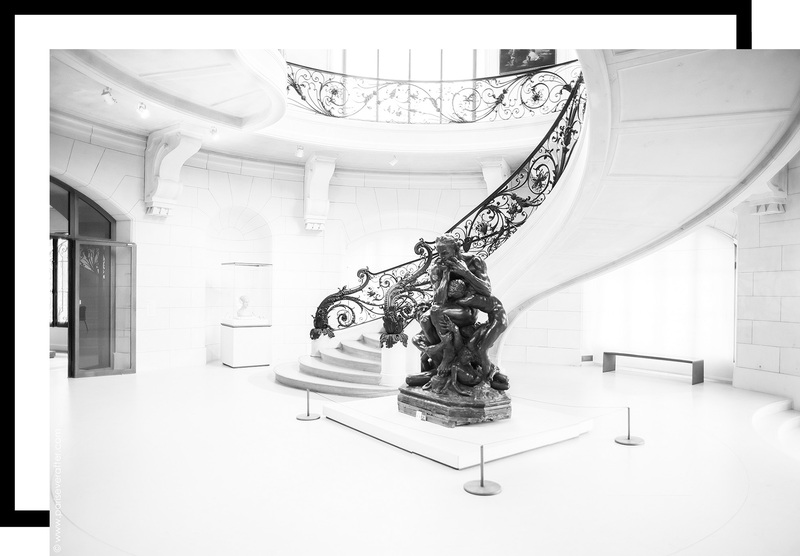 Now housing the City of Paris Museum of Fine Arts, the Petit Palais was originally built for the 1900 Exposition Universelle. 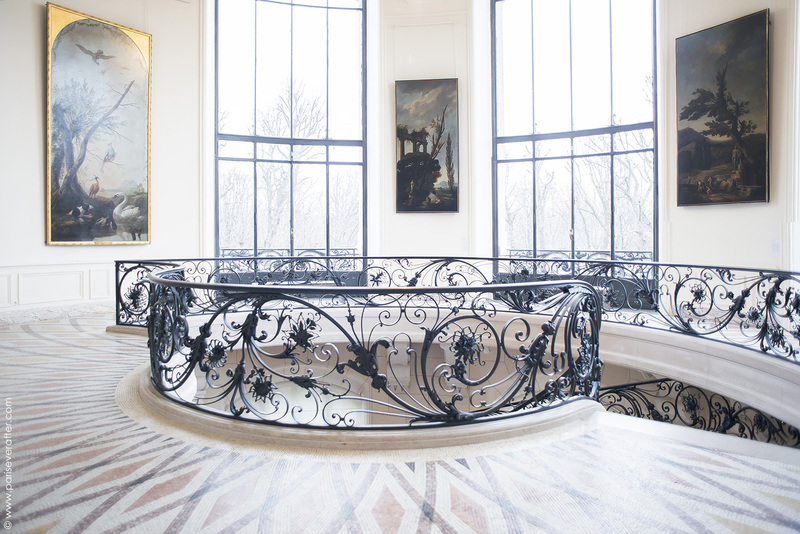 The Beaux-Arts architecutre of the building is truly stunning, my favorite part (and a little secret most don’t know of unless they venture inside) is the beautifully detailed iron staircase found inside. If you head downstairs when you enter the building, veer off to your left and you’ll find it at the end of a corridor. I like to start at the bottom of the steps for the amazing view and work my way up to the galleries above. 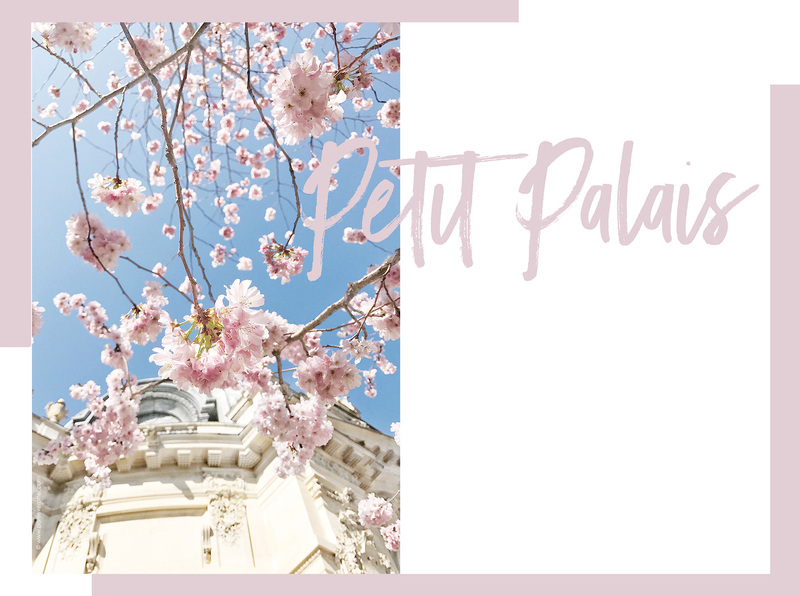 The second reason I love visiting the Petit Palais? The gorgeous, semicircular courtyard, surrounded by double columns made of pale pink granite. Particularly on a beautiful, sunny day like we saw just a week ago, the courtyard is such a lovely place for lunch or an afternoon tea. 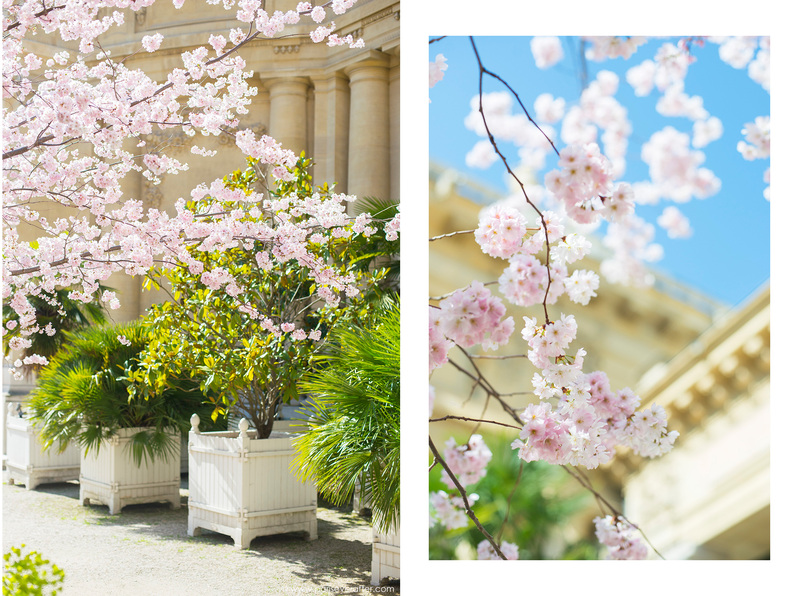 Of course, if you’re lucky enough to be in Paris during blossom season, which typically begins in March and can go through April, you just might get to see the courtyard filled with fluffy pink blooms! 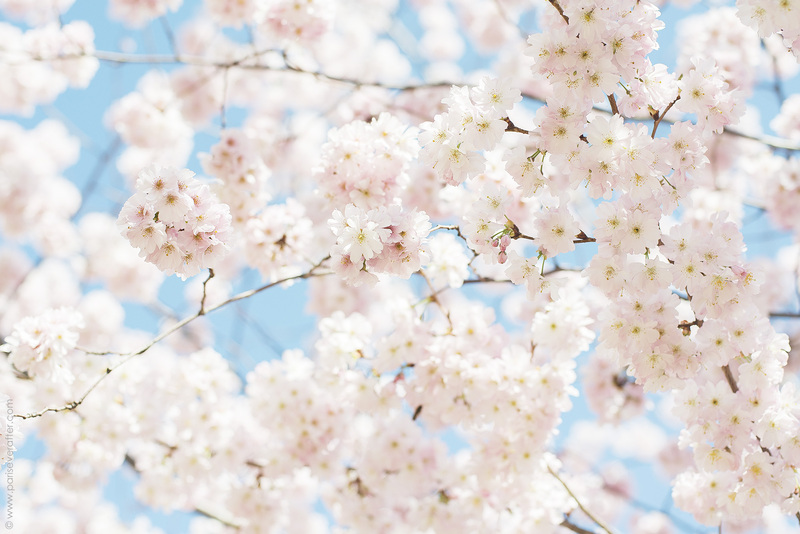 It’s truly amazing to see the garden come to life, filled with beautiful cherry blossoms and greenery. If you have a little time, I highly recommend adding this to your Paris list. 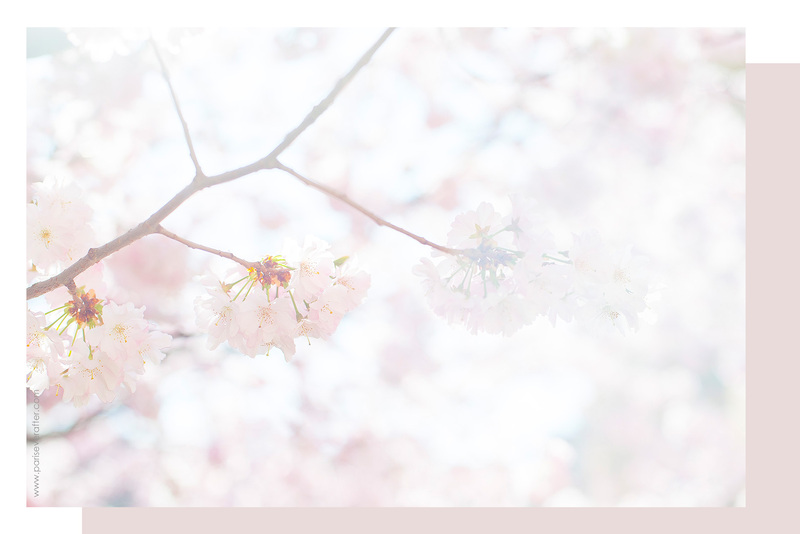 There are a number of other sights to see in the same area, including the Pont Alexandre III, or venture over to the nearby Avenue Montaigne to browse the gorgeous luxury boutiques of Dior, Elie Saab and many more.